The elementary years are the prime time to teach attitudes and skills that will help all children thrive. Lions Quest Skills for Growing capitalizes on the enormous potential of children and directs their energies into becoming capable and healthy young people with a sense of direction, solid skills, and a strong commitment to their families, schools and communities. 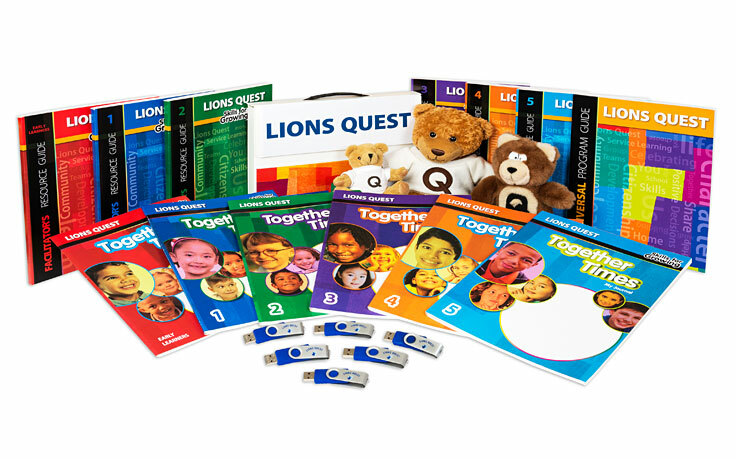 Lions Quest Skills for Growing (SFG) is an evidence-based PreK-5 program that integrates social and emotional learning, character development, drug and bullying prevention, and service-learning. Through a series of developmentally appropriate thematic units and lesson plans, the program helps create a school and classroom environment that promotes the positive student behaviors that lead to greater academic success.